YouTube is often blocked at schools due to the inappropriate content that is hosted on the site. However, there is a great wealth of educational content as well that you might wish to show to your classes. Students won’t be exposed to the little thumbnails and links to other videos on the youtube site, which might not be appropriate. No more loading or buffering waits! In order to make showing a youtube video a smooth experience for your class, please follow the following steps. 2. 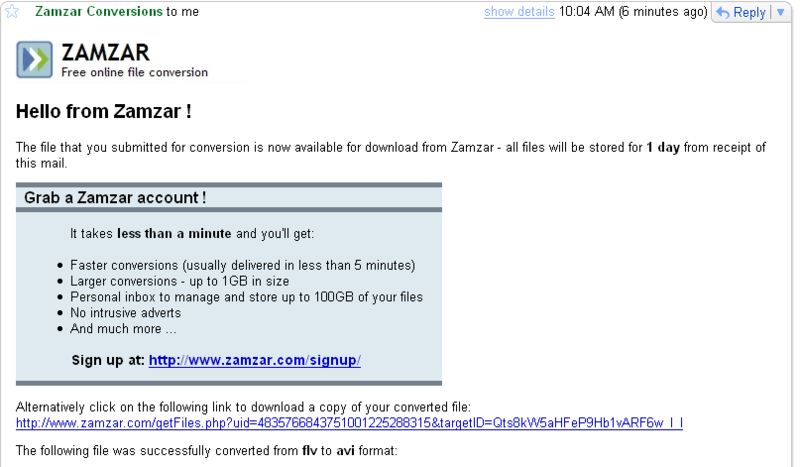 Go to zamzar.com. Click Download Videos. Paste the URL for the youtube video in Step 1. Choose the format to convert to. AVI is a good choice. Step 3 – Enter your email address. 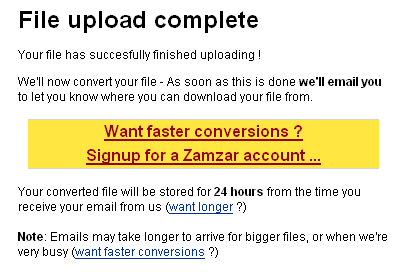 Hit Convert and wait while the video is converted. 5. Click on the download link on the web page. You now have a copy of the video that you can copy to a USB drive or burn to a CD to bring to school. 6. Open your video file with a video player, such as VLC or Windows Media Player. Note: There are many different services that will allow you to download a youtube video. A quick search on google for “youtube downloader” will give you many other sites to use in case zamzar goes down or isn’t working for some reason. Outstanding post but I was wondering if you could write a litte moreon this topic? I’d be very thankful if you could elaborate a little bit more. Wonderful, what a web site it is! This weblog gives helpful facts to us,keep it up.